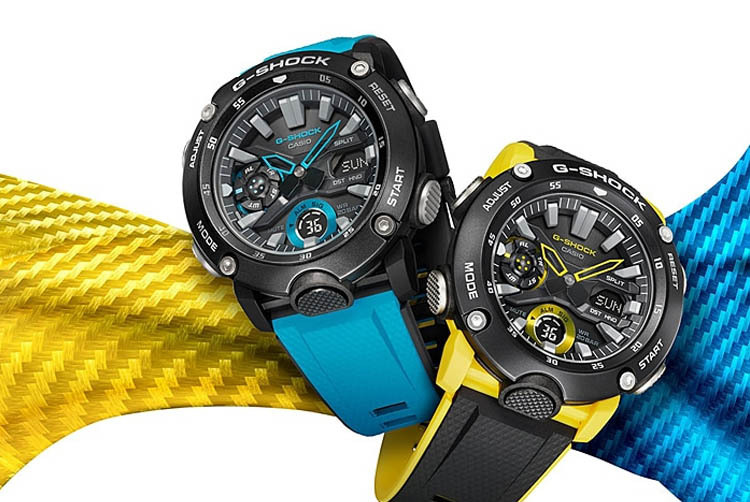 Get your hands on one of the best G-Shocks in the Gulfmaster line! 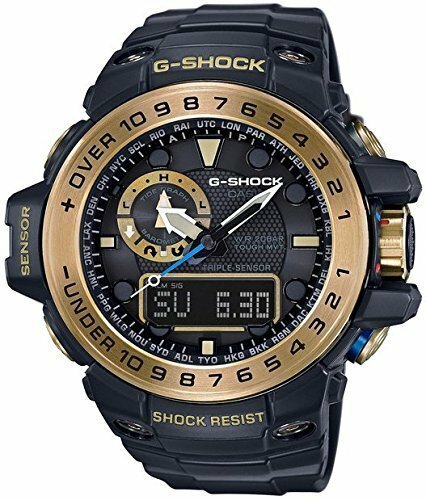 Coming equipped with everything needed for the active professional from a tough build to complex features this watch does not disappoint! 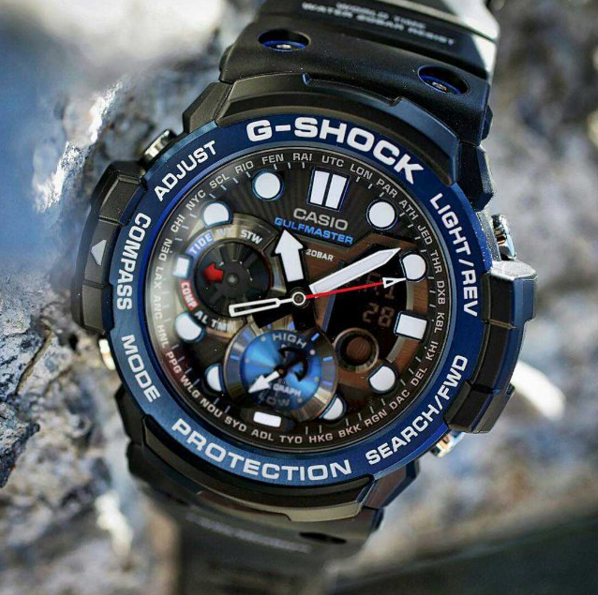 Top of the line Gulfmaster! 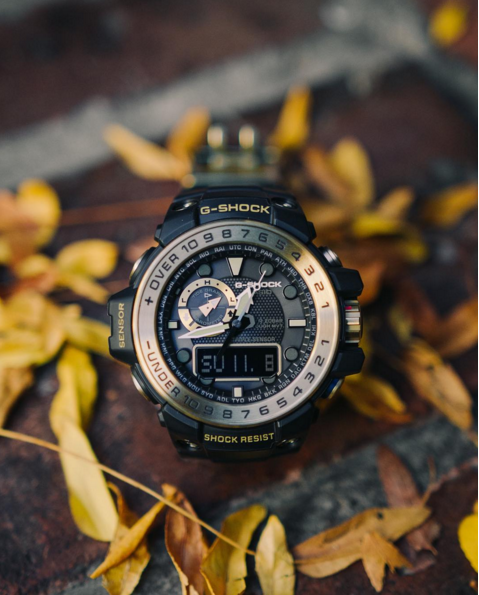 The G-Shock Gulfmaster GWN1000B was created for the picky buyer who prefers an abundance of features and a quality construction over cheapness. The watch comes equipped with some of the best features of the G-Shock line like the multiband time calibration, the triple sensor, moon and tide graphs and much more to make the beholder’s life easier. 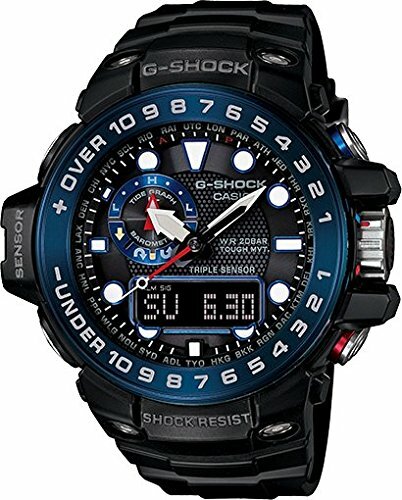 While the watch better suits those constantly working or having fun with water and its variations the Gulfmaster also can be worn by anyone looking for a big G-Shock with plenty functions that can deliver an unmatched experience. 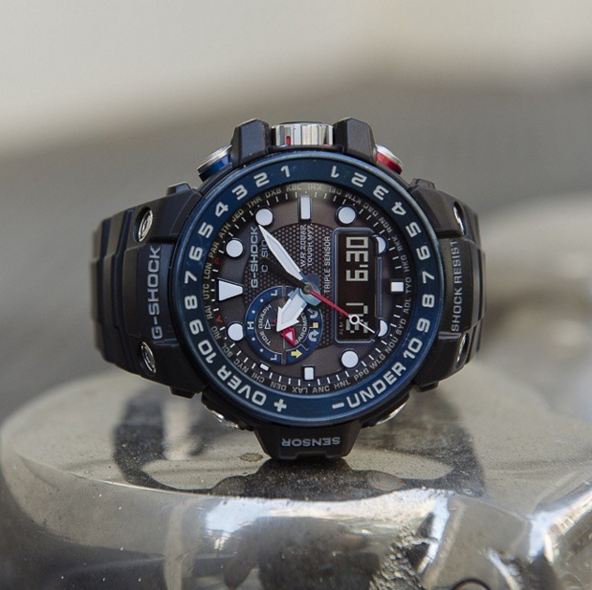 Every Gulfman features an analog-digital display and obviously this model is no exception. 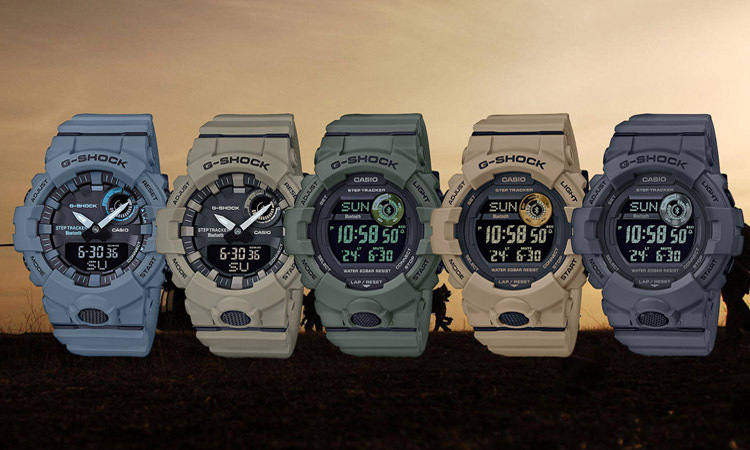 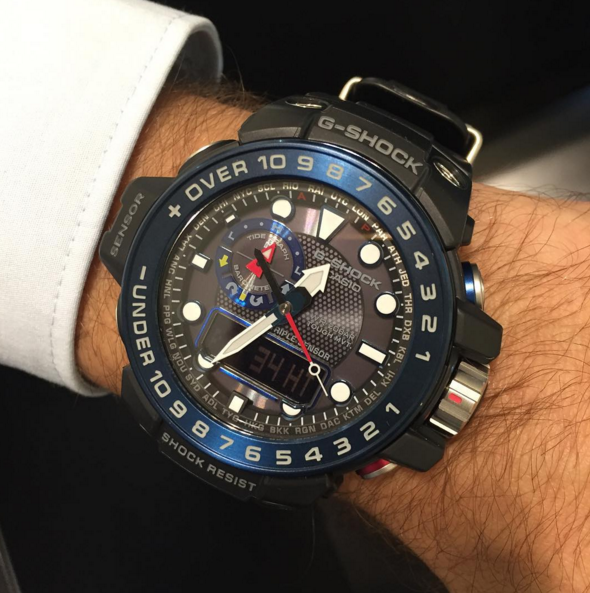 The digital display works in conjunction with the index hands in order to deliver an authentic G-Shock experience. 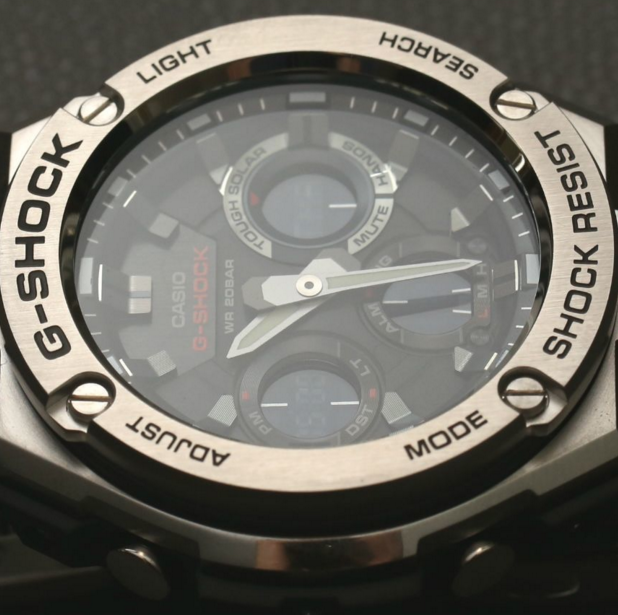 For example, when in compass mode, the second index hand acts as the north indicator and the display shows the degrees afferent to the variations of the cardinal points. 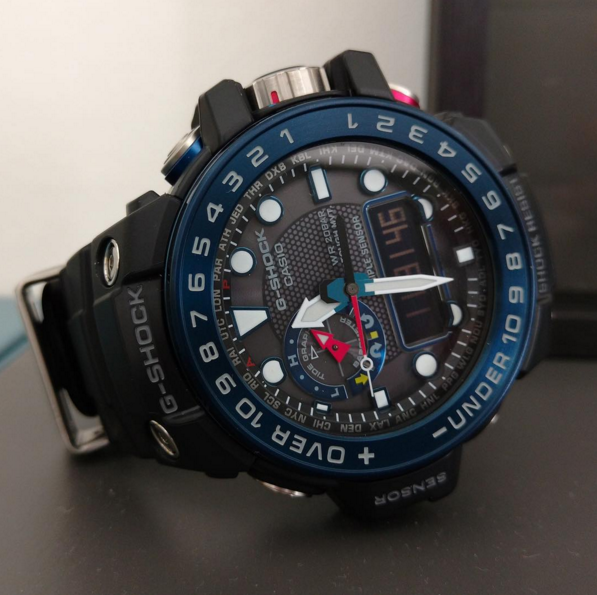 Also, the display also acts as a configuration module in order to give you a better feedback when configuring various functions like the stopwatch or the countdown timer. 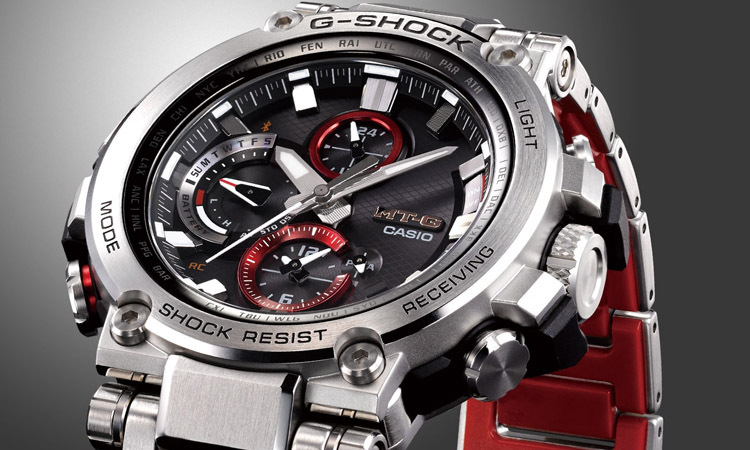 The triple sensor is already famous and it’s nice to see it on this watch. It basically consists of a barometer, altimeter, and compass along with a thermometer for a reading temperatures. 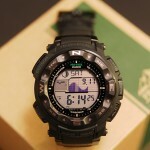 By using the altimeter you can make readings of the altitude you are at a certain moment. 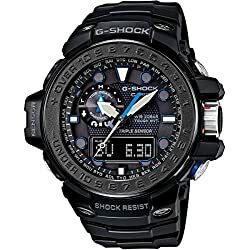 This can be especially helpful for hikers, hunters, and even regular tourists in order to correlate certain information with the altitude, like where certain animals live or a plant or whatever. 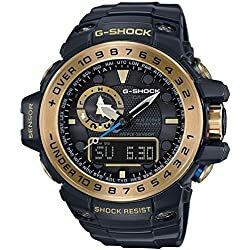 With the barometer you can make weather predictions; when the pressure is low it might rain or get cloudy and when the pressure is high you can expect good weather. 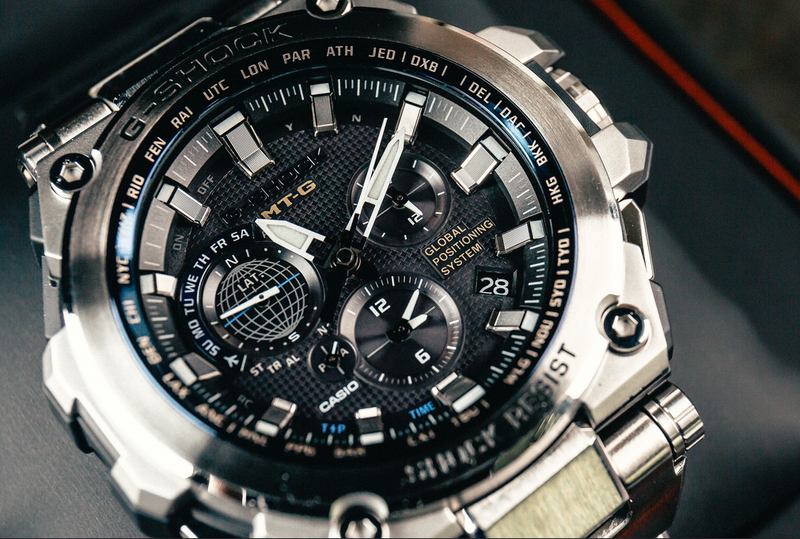 Last but not least, with the compass you can guide yourself through unknown environments. 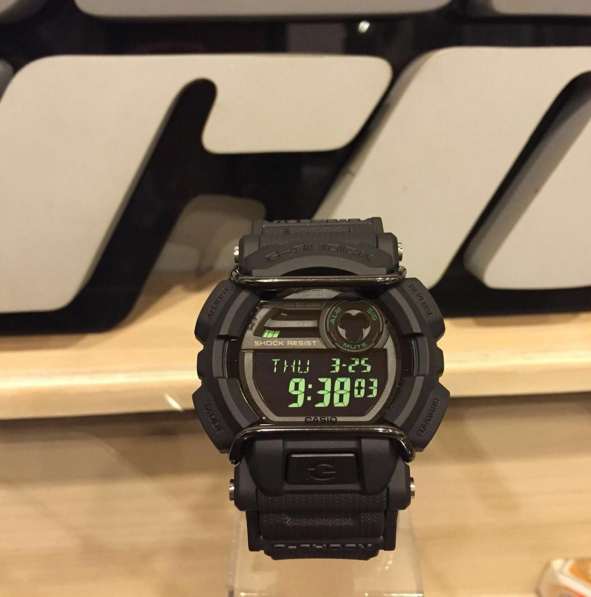 The feel on the hand is as you might expect, significant. 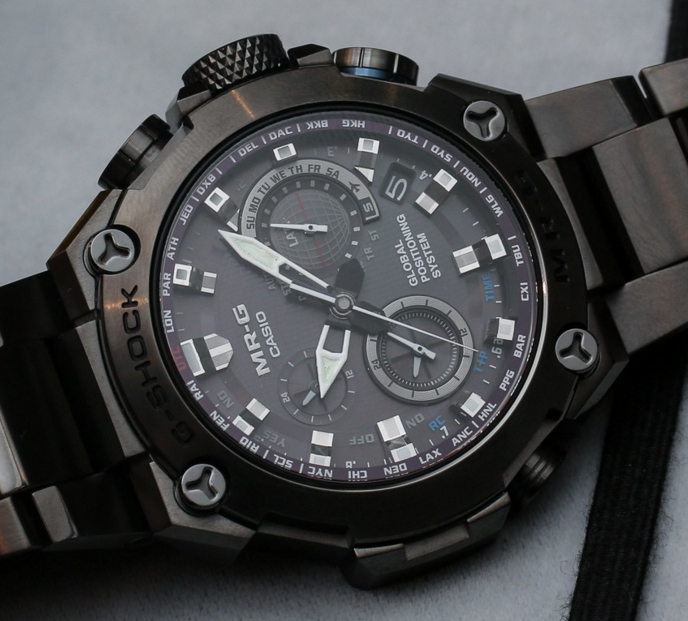 For a watch with a weight of 101 grams and a diameter of 45 mm, you will have to get used to it progressively. 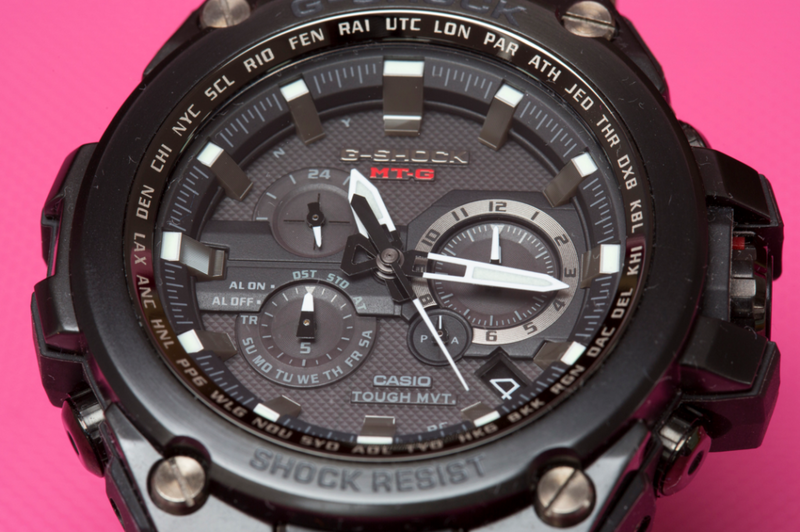 The smart crown is a thing that we saw Casio likes to include in high-end models, mainly because it makes the configuration of the watch so much simpler and intuitive. 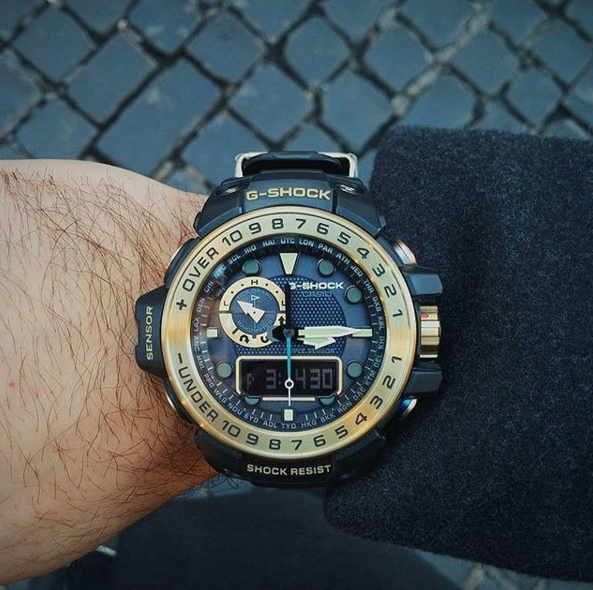 The Golden Version that I like very much. 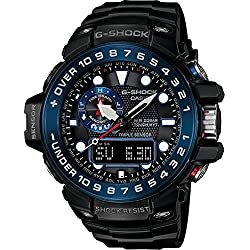 Overall the Gulfmaster GWN1000B is a great choice for those looking for a top notch G-Shock with some of the best functions on the market, with a tough construction and nonetheless reliable. 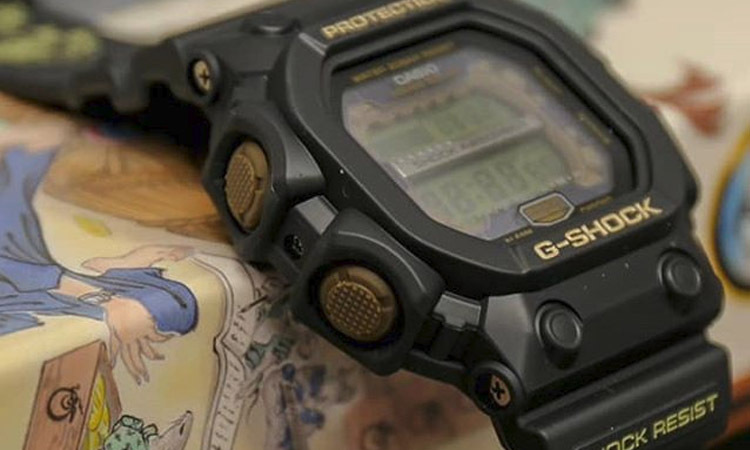 Even if you will have to pull a larger amount of money than let’s say on a GN1000B, the watch pays its value over time, so we definitely recommend it. 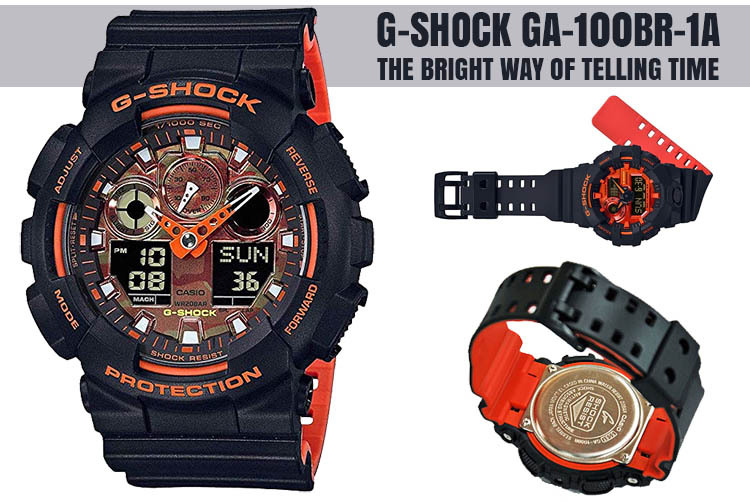 Finally, you might be want to check out our selection of Best G-Shock watches by clicking here. 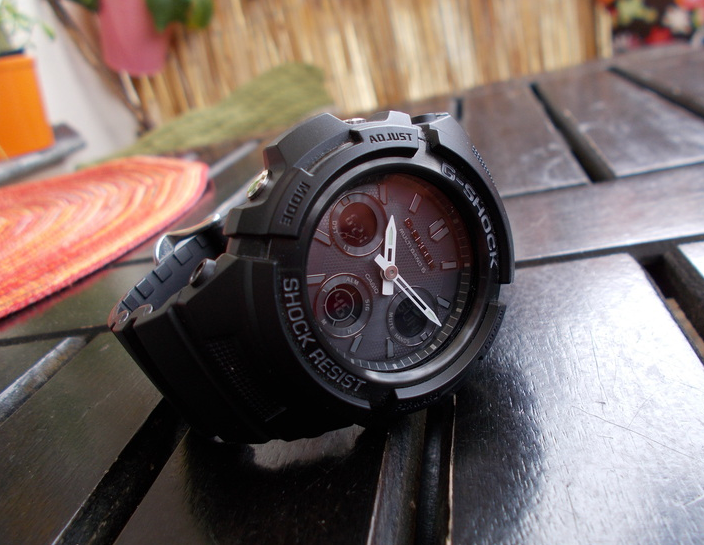 Casio G -Shock Gulfman GWN-1000B-1BER Watch Review inc Macro Close-ups.